Iain Borden is Professor of Architecture and Urban Culture at the Bartlett School of Architecture, UCL, where he is also Vice-Dean Education for The Bartlett Faculty of the Built Environment, having previously been Vice-Dean Communications (2010-15) and Head of the Bartlett School of Architecture (2001-09). As an architectural historian and urban commentator, my work has explored various interdisciplinary intersections of architectural history, cultural history, critical theory and urbanism. I am particularly interested in the ways in which urban and architectural spaces are experienced and perceived by people after the moment at which these spaces have been first constructed - that is, the various ways in which buildings and cities constantly change and evolve depending on their different uses and lives over many years and through different media. My inaugural professional lecture – “Machines of Possibility” (2004) – describing this approach is available for download. A specialist on the history and practice of skateboarding, I have also completed a history of automobile driving, urban experience and cinema, now being followed by new work on an experiential history of constructions such as bridges, tunnels and cranes. I continue to research on skateboarding, and regularly consult and advise those wishing to engage with skateboarding and skateboarders. I operate extensively in the public arena, making numerous media appearances on the radio and television worldwide, while also curating and participating in exhibitions, debates, symposia, workshops and other academic and public events worldwide. An Honorary Fellow of the RIBA, I have guided architectural education and research internationally, while evaluating refereed articles and book proposals for over 40 journals and publishers, as well as assessing research funding applications in countries such as Australia, Austria, Belgium, Canada, Germany, Hong Kong, Netherlands, Singapore, USA and the UK. Research by Iain Borden explores how architecture and cities are experienced and re-used by the public. Architecture and cities are crucial to how people live and society operates. Without homes, shops and parks, without offices, workplaces and airports, our world would grind to a halt. As a historian and theorist of architecture and urban culture, I am interested not just in how our cities function but also how they are designed, what they mean to people and how they are experienced. To do this, I have studied a diverse range of subjects and places, from Italian renaissance piazzas to surveillance cameras in shopping malls, from architectural modernism to recent postmodernism, from issues of gender and ethnicity in cities to the way architecture is represented in cinema and photography. In particular, I have completed an in-depth study of the urban practice of skateboarding, looking at how skateboarders adopt modern cities as their own pleasure-ground, creating a culture with its own architecture, clothes, attitudes and social benefits. I have also extended this investigation into the world of automobile driving, looking at movies to explore how people’s experiences of the city from the car changes their engagement with architecture and urban space. Recent work explores how specific places and buildings in cities worldwide can be encountered through different kinds of social engagement, such as memory and risk-taking. • Skateboarding & the City: a Complete History (2019). • Forty Ways to Think About Architecture: Architectural History & Theory Today (2014). • The Dissertation: a Guide for Architecture Students (3rd ed. 2014; Chinese ed. 2010). • Drive: Journeys through Film, Cities and Landscapes (2013). 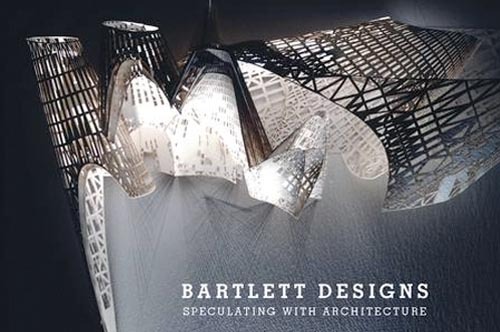 • Bartlett Designs: Speculating With Architecture (2009). • Transculturation: Cities, Spaces & Architectures in Latin America (2005). • The City Cultures Reader (rev ed. 2003). • Manual: the Architecture & Office of Allford Hall Monaghan Morris (2003). • The Unknown City: Contesting Architecture & Social Space (2001). • The New Babylonians, n.151 of Architectural Design (AD), v.71 n.3, (June 2001). • InterSections: Architectural Histories & Critical Theories (2000). • Gender Space Architecture: an Interdisciplinary Introduction (1999). 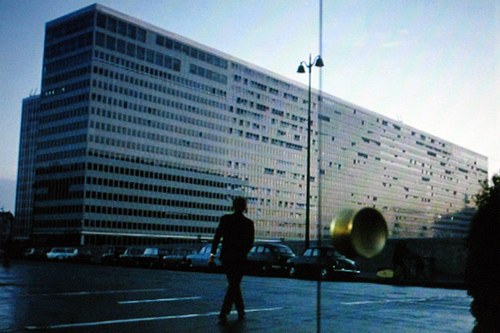 • Strangely Familiar: Narratives of Architecture in the City (1996). • Architecture & the Sites of History: Interpretations of Buildings & Cities (1995). Iain Borden has been teaching undergraduate and postgraduate students in architecture and urbanism at the Bartlett School of Architecture since 1989. He is also currently Vice-Dean Education of The Bartlett. Teaching at all levels, from undergraduate and masters to PhD, I have developed several new modules and courses. In particular, I have developed the 'Representations of Cities' course within MA Architectural History. This module reviews the variety of ways in which cities have been conceptualised in recent urban and cultural theory, and considers how the city can be understood as a set of differing cultural experiences: experiences of time, space, social identity, artistic interventions etc. My PhD students - many funded by the AHRC or other international sponsors - conduct research into a wide range of related areas, including (previous and current work): colonial and postcolonial architecture and urbanism in Hong Kong, Malaysia, Indonesia and Taiwan; media and architectural imagery in Shanghai; housing in South Africa; landscape in South Africa; post-apartheid architecture in South Africa; C18 British turnpike roads; construction sites in 1960s Paris; Deleuze, cinema and the London Underground; British amusement parks; Russian new towns; psychotopography and novelist Steve Erickson; the Turkish-Greek island of Imbros; London graffiti; skatepark design; Seoul skateboarding ethnography; skateboarding social enterprises and culture; light and technology in night clubs; and the architectural archive of John Laing. As Director and Head of the UCL Bartlett School of Architecture from 2001-09, I oversaw all aspects of its teaching programmes. I have also served as Vice-Dean Academic Affairs and Faculty Tutor for the Bartlett, been a member of the RIBA Education Committee from 2003-10 and chair of the RIBA President’s Medals Dissertation Prize (1999-2003), and acted as Council Member and Vice-Chair of SCHOSA (2006-09). I have also been involved in teaching through various workshops and visiting appointments at several other institutions worldwide, including the Architectural Association, University of Westminster, School of African & Oriental Studies, Royal College of Art, Technische Universität (Berlin), Ayoama Gakuin University (Tokyo) and Oslo School of Architecture.